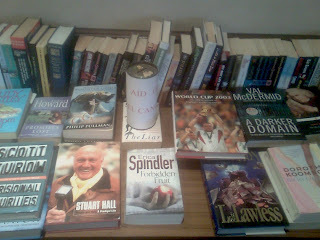 The book loan initiative in aid of Beating Bowel Cancer continues to enjoy great support. Started by Club Snooker secretary Kevin Shackleton, it's now raise over £300 a valuable contribution to this worthy cause. The book table is located in the member's lounge and, thanks to generosity of Club members, is currently overflowing with a wide and ever changing collection. So, the next time you're in the Club take a look at what's available and please continue to give your support to this charity.